As winter rolls around there’s one thing everyone dreads…the heating bill. It haunts your mailbox and your wallet and pounces on you unexpectedly even though in the back of your mind you knew it was coming sooner or later. It seems as though everyone loves having a warm house, but no one loves paying for it…and we don’t blame them. Luckily, we have a few simple tips to lower that dreaded wintertime bill. Check it out. Know when to open and shut your windows. There is this bright ball in the sky that provides the earth with heat. It’s called the sun. And, believe it or not, as a homeowner you can use the sun to your advantage if you are trying to lower your heating bill. By opening the shades first thing in the morning you allow the daytime sun to come in and warm the home. Then, if you shut them immediately at sundown you block warm air for exiting the home keeping all the good stuff in! Understand how to direct your heat. Many families with large home have rooms that go unused most of the time. Guest rooms, temporary offices, or bedrooms of children away at college don’t need to be warmed as much as the living spaces or other occupied bedrooms. If you have a forced air system you can close off the vents in the unused living spaces so the heat is not wasted on those rooms. 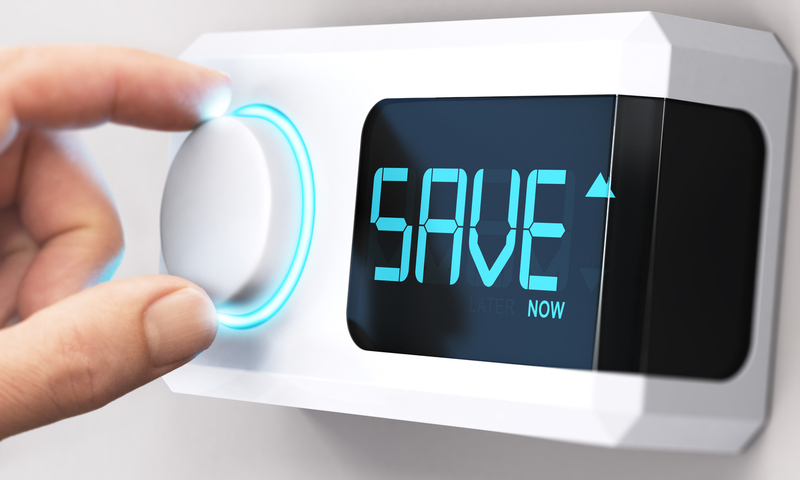 This simple practice can lower your bill drastically. The key to keeping your furnace running efficiently is to clean it regularly. Most heating systems should have their furnace filters changed at least once per season, if not twice. Furthermore, having your heating system professionally cleaned once every few years will help it to last longer and utilize energy more efficiently. If your heating system could use a quality cleaning job, be sure to contact the professionals at 410-SAMEDAY as soon as possible! They want to help you get up and running to save money this winter!